This is my 30th Sunday Post already, that means it’s been almost 30 weeks since I first started this blog. Or actually when I remember I started this blog in December that means I already have my own blog for more than half a year! Isn’t that amazing. Okay so nothing interesting happened this week. I kept on job search, feeling bleh some days, got some reading done, I baked some cookies and my sister baked cake (yum!). Also since the beginning of this week my sister’s boyfriend is living in the same house temperaly. So we now live here with 4 people and it suddenly feels quite busy. Also I got interviewed by the amazing Faye over at her blog A Daydreamer’s Thoughts. I give some recommendations for summer reading and what to read on rainy days, new releases I am looking forward to this summer, favourite authors and if I schedule blog posts or post spontanously and more. So go check it out :). 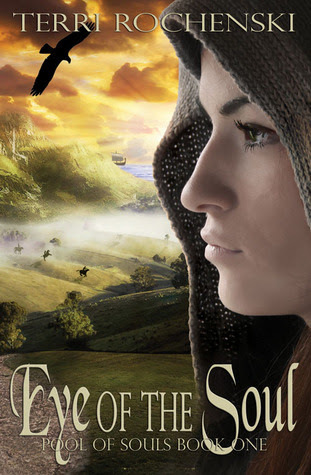 I love the cover for Eye of the Soul! I hope the book is good! Congrats on blogging more than half a year now :D! I didn’t realize I had my own blog for so long already! I actually started blogging somewhere around february last year, but I was a co-blogger at another blog then. So that half year is counting from when I started my own blog in December. I hope the cookies were super yummy! Enjoy your new books 😀 and have a good week. I made peanut butter cookies with chocolate chips they where all gone in a day! They where really yummy! Thanks for the follow! I will check out your blog too! Great haul. Eye of the Soul look interesting. Hope you enjoy them both. Thanks Jenea. I hope so too! Lola, I enjoyed Eye of the Soul, and I’ve already formulated a ton of questions for what might happen in the next one. I hope you enjoy it, too. 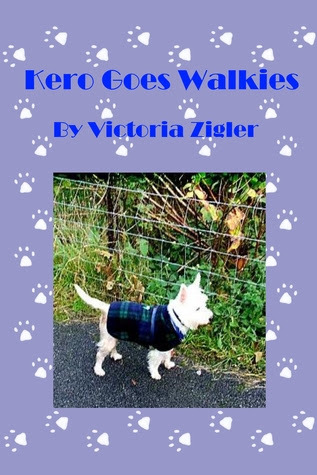 I hope I will get around to Terri’s book soon. It sounds really good and I lvoe the cover. Really I hate job hunting, I hope the economic situation wil get better soon and more job’s will be available, because I gettin rejection after rejection. Hi. Congratulations on your milestones. New follower. Thanks for the follow Belle! I accepted your friend request on Goodreads. I am checking out your blog now! Awesome milestone Lola, and i can hardly believe it’s your 30th Sunday Post..time is flying. Have a wonderful week! Thanks Kimba! Time sure seems to be flying! I can’t believe I have been having my own blog for so long already. 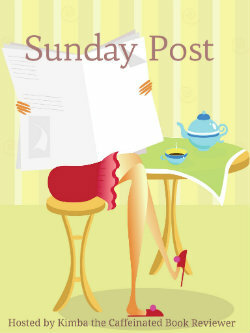 And the Sunday Post is a great way to keep track of time :P.